Arrival Notice (also called Notice of Arrival), in respect of International Cargo Transportation from the USA by sea, is an international shipping document issued by ocean freight carriers agents to consignees (recipients of internationally shipped goods) and to their notify parties, if any) to inform about cargo arriving at destinations. Arrival Notice (Notice of Arrival) provides details coming cargo from the USA. It provides charges related to the recovery of goods transporting from the USA. It should also list necessary shipping documents that will require to initiate customs clearance on importing from the USA goods. Instruction on the international shipment recovery, etc. Keep in mind that an Arrival Notice itself is NOT a freight release document. Arrival Notice is an international shipping document that allows to the consignee to initiate his/her international shipment's recovery by following instructions in the document and obeying laws and regulations on recovery shipping from the USA goods in the destination country. Other party related to the import recovery and delivery (if necessary) "to the door" of recipient goods: domestic freight forwarders, bonded and local warehouses, local cartage companies, etc. Note: Import recoveries in international shipping is a complex and time-sensitive process. Even though most of the countries over the world allow to consignees (importers of records) working on cargo recoveries directly with the customs, unless you are not a professional, it is a good idea to work on the recovery with the international carrier's agent or hire a destination countries' customs broker. If for any reason you forgot about or missed the arriving your importing goods, that does not mean that the destination country's officials will forget about that. For a reasonable fee, you should avoid a headache and/or extra charges and/or penalties that may occur in an event if you fail in your destination country's import recovery procedures. As a rule, an Arrival Notice (or Notice of Arrival) on your goods transporting from the USA should be issued to your consignee and a notified party in several days before your shipping goods will be entered in the commerce zone of your destination country. Then you should have time to be prepared for the import recovery. An Arrival Notice can be emailed or faxed to the consignee and/or to the notify party (if any). Expect it on/in a few days before ETA on your shipping from the USA goods. Do not miss it! Upon the receipt start working on your cargo recovery with ocean freight carrier's destination agent OR forward this document to a party authorized by you on the import recovery without delay. Keep eyes on the recovery. Do not let it go out of your control. You may find it useful to be acknowledged with time frames on U.S. import entries filing and international shipments recovery in this link. If for any reasons you will not receive an Arrival Notice as expected, then contact the international ocean freight carrier's destination agent as in your international sea freight Bill of Lading. IMPORTANT!! : Since you made your decision to ship goods from the U.S. overseas, you must clearly understand that as soon as your goods exit U.S. Commerce zone, U.S. laws do not apply on your freight. Neither U.S. freight forwarder nor ocean freight carrier will be able to manage your import recovery overseas. Ocean freight carrier's destination agent should guide you in your import recovery. However, the agent is not a U.S. business. No one but your consignee (in respect of import recovery professionally called Importer of Records) can be aware of and work on issues that may lead to problems with your freight at the destination. Yes, International Maritime Laws should apply on your freight. But depending on the country that you ship to, the Laws may be interpreted in different ways. Do not say about other subjective factors peculiar only to your destination country. Most of the time, with LCL freight, you do not need to hire a destination country's customs broker. Carrier's destination agent is the customs broker as well. However, we suggest that in case of problems, your first step should be to apply for legal help from an independent customs broker in the destination country. If for any reasons you will not be contacted by sea freight carrier's destination agent on/in a few days prior ETA (Estimated day of Arrival), do not wait and contact them first. The contact info is in your bill of lading. Always request a legal Arrival Notice. 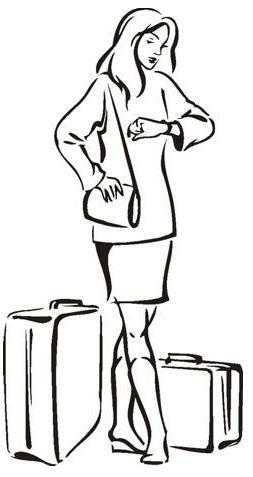 Your Arrival Notice must be dated and contain agent's letterhead and destination charges breakdown. Phone calls or random email are not enough. Properly work with sea freight carrier's destination agent. Respect agent's job. Their business is to get your goods for you as soon as possible. Follow agent's instructions. Pay destination charges and fees (sometimes called Local Charges) and possess your released goods. If you face a problem in your shipping from the USA, do not hesitate to contact us. However, if you will not provide a copy of your legal Arrival Notice, most likely we are unable working with the carrier on your behalf. I.e., we will always need a copy of your Arrival Notice. REMEMBER: IMPORT RECOVERIES ARE TIME SENSITIVE! As quickly you begin working on it as less probably that you will get the deadline penalties: storage, demurrage, Customs penalties, etc.